If you have a little girl in your house, there is almost no way on this planet you haven't at least heard of Frozen. If you have a little girl in your house that has seen Frozen, chances are you have seen it...once or twice or 7 million times. I mean, am I right? Anyway, while I was cleaning out some craft supplies, Lucy saw this canvas in a box. The first thing out of her mouth was "mommy, this looks like it should be in Elsa's castle!" I gave it one glance and knew it needed to be Frozen related and I knew then that the "favorite things" challenge wouldn't be about my favorite thing, it would actually be about one of my favorite person's favorite things. 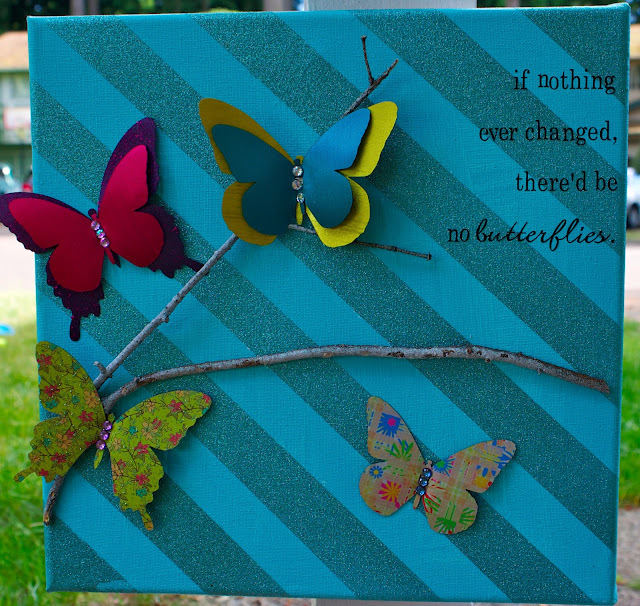 I had originally made it as a trial canvas I had made back when I was participating in the One Crafty Challenge hosted by One Artsy Mama. It was for the glitter round, if you can't tell, and if you know anything about me, you would know that I hate glitter. So this round of the challenge was a huge challenge for me, going against everything I believe in (that glitter shouldn't exist). To make this one, I used a flat blue paint first and then spray painted over it with a blue glitter spray paint. Before the spray paint was dry, I sprinkled a little extra glitter on it, just for glitters sake. There was no fancy method or style, it was just a little canvas with a bunch of glitter thrown at it, literally. And winning the challenge meant that I won a box full of glitter. Yep. I now own more glitter than I ever thought was possible. But back to this Frozen project. 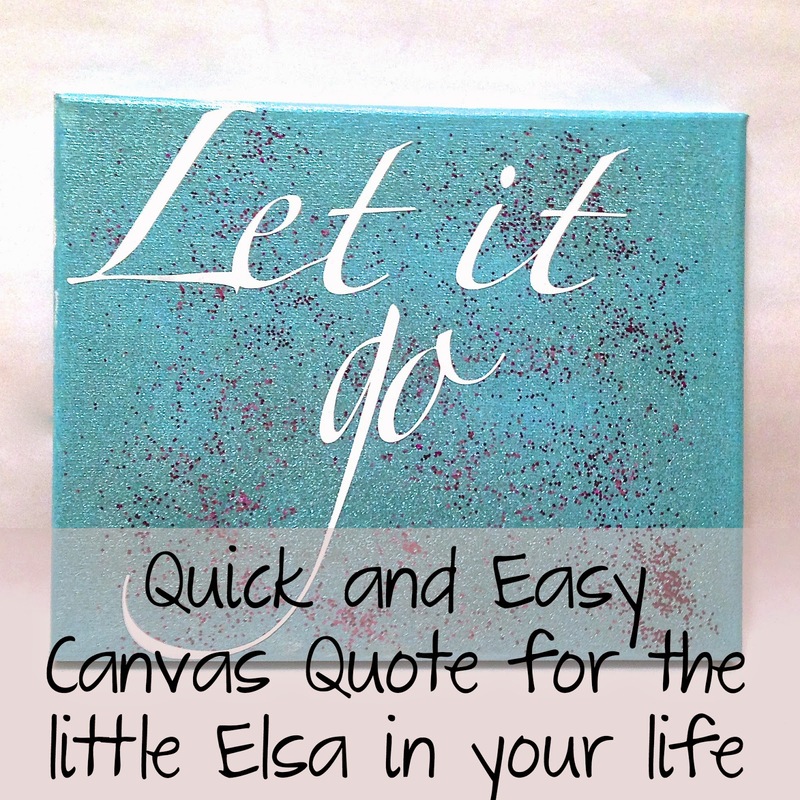 After I cut out a super simple "Let it Go" quote out of vinyl on my Silhouette for this canvas, I showed Lucy. She exclaimed "MOMMY IT'S PERFECT!" and gave me the biggest hug and told me I was the best, so really, I won again. With glitter. Go figure. Now that you have checked out my project, make sure to click around and check out all the other projects that were done for this month! There are some simply amazing ones that you won't want to miss! The Let it Go art is so cute (and simple is ALWAYS nice). My neice would love it! Your butterfly art is gorgeous too!! Very cute!!!!! Did the vinyl stick well to the glitter? I know my daughter would LOVE this! Maybe rent "Follow the Sun" and the Lu might end up going crazy over Golf!! !.....It could happen!! Awesome sauce! I have a few canvases waiting to be made into something. My little girl has been dying for a Frozen-themed bedroom. This is so going on my to-do list! Aw, I love her reaction the best...what a simple project with a big payoff! 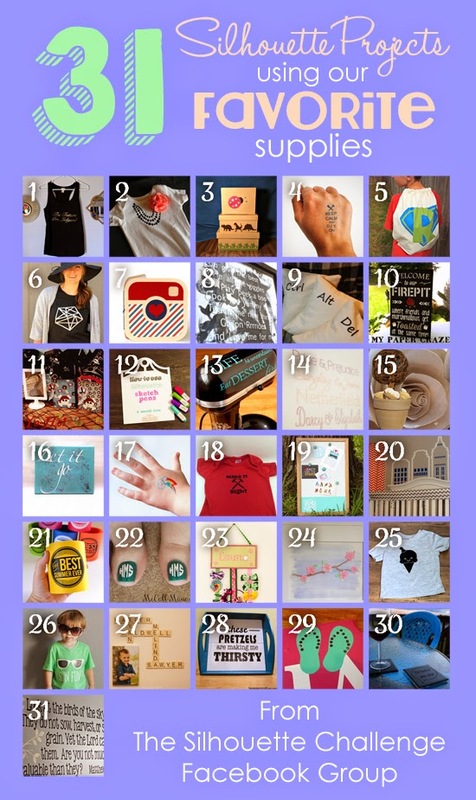 And so great that you were able to reuse a previous project to create something so fun for your daughter! I love your glitter story - cracking me up over here! Nothing like a glitter hater winning a big box of glitter haha! Your canvas looks great! Your project wit glitter sure is cute. A hug from your daughter, It's Perfect! Now some how those amazing amount of glitter became priceless.